As far as I'm concerned there is nothing more relaxing than sitting down in the bath with a good face mask on. I'm a little guilty of having a bit of a face mask obsession going on. More to the point, I have a bit of a Lush face mask obsession going on. I struggle with acne and when it comes to skincare I like to keep it straight to the point, a few basic products and that's it. 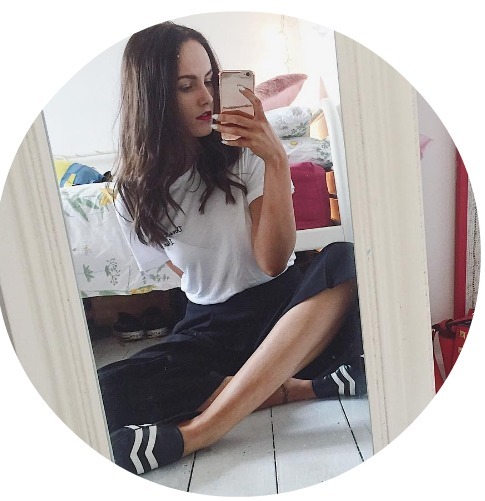 I think taking care of your skin from the inside out is the way to go but sometimes you need a few products to help moisturise, exfoliate and treat your skin. 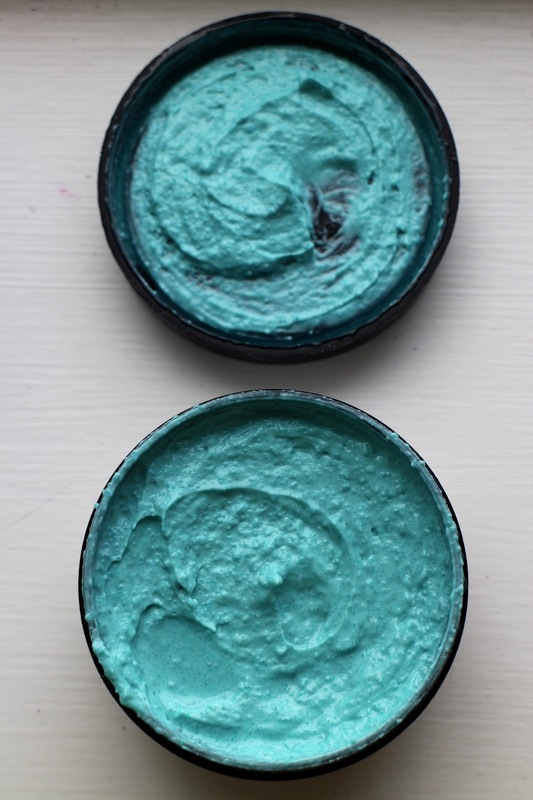 When it comes to face masks, I like to stick to Lush because they're full of fresh ingredients and you can usually find a mask which will meet your skins specific needs. 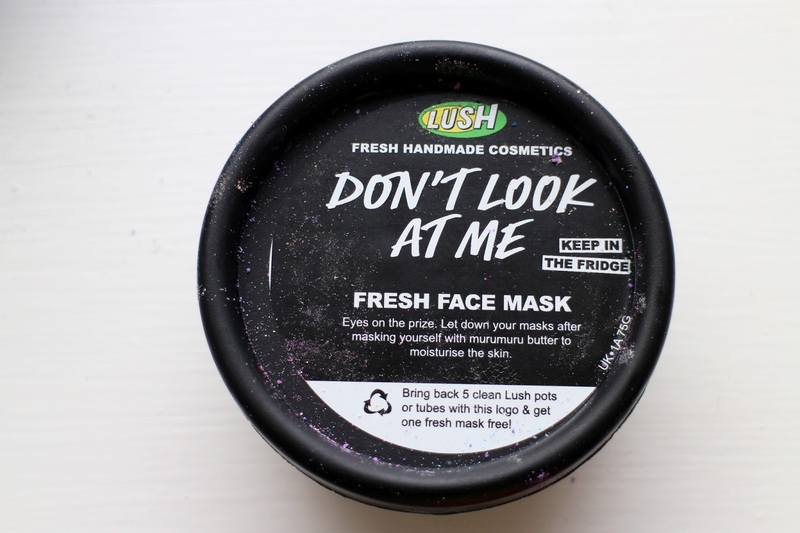 The guys and gals in Lush are FULL of knowledge, so if you're not sure which mask to go for, they can usually recommend a mask or two for you. Sometimes I don't know which mask to buy so I ask one of the sales assistants, and they always steer me in the right direction. Basic run down of my skin - oily t zone, clusters of acne on forehead and lower face, dry skin around the nose and redness from scarring. 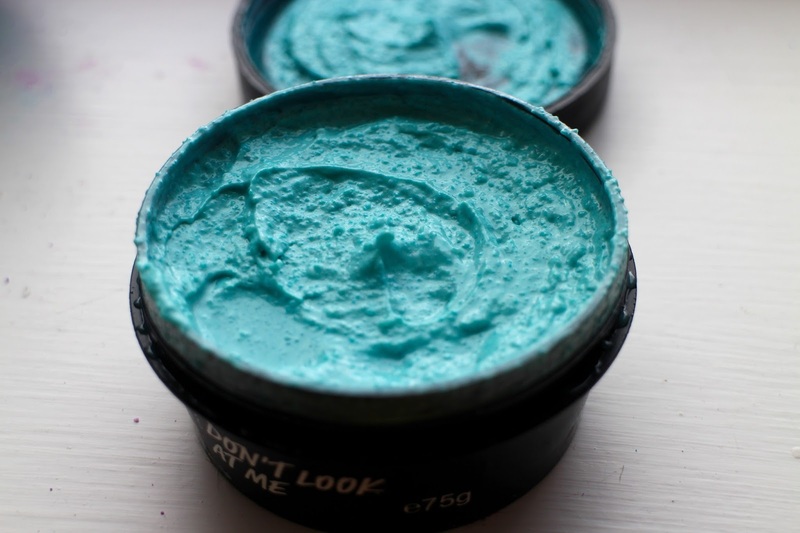 What first attracted me to the 'Dont Look at Me' face mask was the outrageous turquoisey blue colour. It looks amazing and gave me complete mermaid vibes. The ingredients also really intrigued me, the mask contains lemon juice which I had previously heard was good for acne scarring. The mask also doubles as an exfoliator so it's like two for the price of one. 'Dont Look at Me' smells quite citrusy and fresh, but it's not overwhelmingly citrusy, it's just right and I really liked it. The mask applies easily and you can build it up to be as thick or light as you would like. I varied my use between a light mask and a thicker mask and I definitely preferred a thicker application. As you can see from the pictures it is quite lumpy but I found a thicker mask was better for getting a good scrub on, and I was excited to get scrubbing because it looked like it would really loosen all that dead skin on my face, especially where I'm more prone to breaking out. I don't recommend leaving the mask on for longer than 10mins, when it hardens, it hardens and it's actually a little hard to wash off when you leave it on too long. Yano what they say, 'unnecessary tugging of the skin can lead to wrinkles' and a little redness. Not cute. When I washed the mask off my skin felt fresh and alive. It felt smoother and softer and after a few goes of the mask, I noticed a slight difference to the redness of my skin, especially around the nose and lower chin. I also really enjoy wearing this mask because of how blue it is. It makes me feel like I'm a little smurfette or mermaid wannabe. It's quite funny to look at and my family think I look hilarious with it on, all in the name of beauty am I right? If you have acne prone skin and you're looking for a good natural face mask, then I highly recommend you give 'Dont Look at Me' a go. I've bought four pots of it and turned a few friends onto it too and they really loved it. Definitely up there as one of my favourite Lush face masks. It sounds like we have a pretty similar skintype, so I'll have to pick this up next time I'm in Lush! This sounds like a really good mask, thanks for the recommendation! Ah I need to try this. Lush are deadly.